Please turn some televisions to ABC tonight at 9:30 (8:30, Austinites) for Hot Properties. 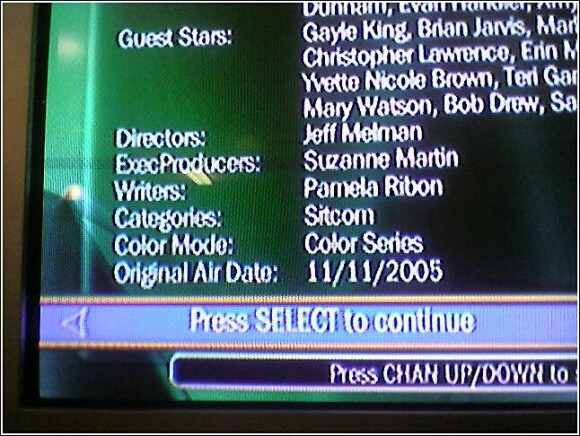 I was triple checking our Tivo to make sure that we record your upcoming episode when it comes on, and I did that thing where you can drill down through the information and see the guest stars and director and stuff and… there was your name! “Writer: Pamela Ribon.” Spelled correctly and everything, ON the TIVO! I took a picture! Previous Article seriously kicking it.